The Yuca Diaries: Perfect Home-made Popcorn! I have said many a time here before how popcorn is my favorite snack. Popcorn and frozen yogurt actually, I can't quite pick between the two, it really just depends on whether I want something sweet or savory. Popcorn is one of those things, that no matter how full I am, if I smell it, I want it. It makes watching movies so much more enjoyable, but after reading an article that named movie-theater popcorn as one of the worst foods of all time, I no longer treat myself to the buttery, crunchy delight. This inspired me to make delicious popcorn at home. Microwave popcorn doesn't even count as far as I'm concerned. But not all popcorn was created equal either. There is a right way to enjoy popcorn in my opinion: using only three ingredients and cooked on the stove. Something else I'd like to point out is that there are all kinds of gourmet popcorn kernels available- the perfect gift for the popcorn lover in your family. They range from the whitest of white all the way to midnight black. Some yield fluffy large kernels and others yield crunchier smaller kernels. Tastes also range from mild and crisp to nutty and buttery. Today I'll show two varieties, and my favorite way make home-made popcorn. The first variety I made was the standard golden Orville Redenbacher popping corn. The actual corn kernel is large and plump, and has a beautiful golden color. The popped kernel yields a mild flavor, pops really fluffy and large and has a slight yellowish hue to it. The second batch I made is known as "black jewel" popcorn. The description on the site says " black jewel kernels are smaller with a tender hull that shatters when it pops. This means you get fewer hulls in your teeth and gums. Fewer hulls mean black jewel popcorn is also easier to digest than yellow kernel popcorn. Black Jewel is a very flavorful, crunchy textured popcorn that pops snow white with black centers. I found this description to be very accurate. I will add that this variety has a much more noticeable "corn" flavor. After trying them back to back, you realize how mild the standard variety is. I personally like the black jewel variety better. Also worth noting, the black jewel produces less volume than the standard yellow. I had to use twice the amount of kernels to yield the same amount of popped corn that the yellow variety produced. This is because the black kernel is smaller in size and not as fluffy. Here is a picture of the black jewel kernels when they're un-popped and popped. Add the kernels and oil into a pot with a lid and turn the heat up to medium high. Leave the lid off until you start to hear a slight sizzle. Place the lid over the pot and when you hear the first few kernels pop, turn the heat down to medium. Turn off the heat once you hear the popping slow down a bit- about 1-2 minutes. Let the pot rest for about one minute before removing the lid. Transfer the popcorn into a large bowl and sprinkle the popcorn salt over the first few ladle fulls of popcorn. Continue to add the popcorn to the bowl and season the top with a little more popcorn salt before serving. Side note: it is very important that you use popcorn salt. Popcorn salt is just salt that is very fine, but because it is so fine, it sticks to the popcorn. Regular salt won't stick to the kernel and you'll have bland popcorn. Also. good to know, this popcorn keeps well in a zip lock bag for about a week. I usually make a big batch and then put them in individual bags to take to work. I hope you'll enjoy this recipe as much as we do, all in all it is a healthy snack that is full of fiber, whole grains, and gluten free. Plus, your house will smell like the movies for a little while which makes it great for those cozy blockbuster nights with your honey. Homemade popcorn is the best. I started making it regularly a few months ago and have not looked at microwave popcorn since. 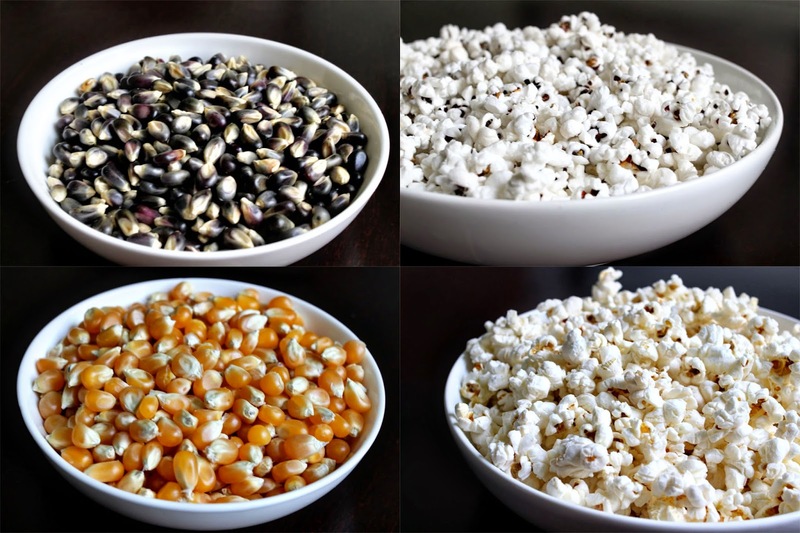 And thanks to this post, now I want to experiment with different types of kernels. Thanks so much for sharing. 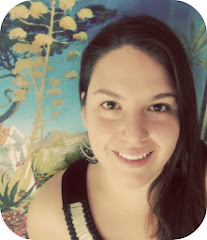 Hello- just found your blog and I'm really enjoying it. I have been making popcorn for years but the last few, no matter what popcorn I buy, it comes out very husky and is not enjoyable. Do you know why? I am not sure about this Susan. Perhaps try heating the oil and the popcorn on high with the lid off. Once the first kernel pops, then put the lid back on and turn the heat to medium high. This will allow some of the initial steam to escape. Not sure if this will work but it is worth a shot.